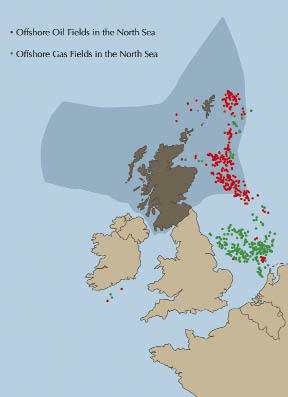 Since oil was struck in the North Sea in 1970, it has fuelled dreams of Scottish independence. Since oil was struck in the North Sea in 1970, it has fuelled dreams of Scottish independence. ‘Rich Scots, or poor Britons?’ ran the Scottish Nationalist Party’s slogan two years later. Alex Salmond has refined this slogan into a formal plan for separation which — he says — would make Scottish independence financially viable. For a country which has Swedish levels of state spending, this is quite some claim. British waters are already separated from Norwegian waters, and so are the oil and gas underneath. Salmond’s proposed division, drawn up by the British civil servants he commands, would claim 91 per cent of British North Sea revenue. This would have raised £11.7 billion in 2008/09. That year, the gap between state spending and tax raised in Scotland was £15.5bn. The shortfall, Salmond says, would be treated as a fiscal deficit and would anyway have been far smaller than the deficit England recorded for the year. The snag, of course, is that oil prices change: a barrel has shot from $10 to $100 over the past decade. Scotland would swap rule from London for rule by OPEC. Salmond, in his defence, says Scotland would save the oil money, and compete against England by lowering taxes as Ireland has. Even so, as he prepares for his referendum, a collapse in oil price may be his greatest fear.